One blow after another! Hard and to the head! The provisional report on the Human Rights situation in Mexico, elaborated by the Inter-American Commission on Human Rights (IACHR), caused tremendous discontent in the Enrique Peña Nieto administration. It’s one more strike at the tiger. Since a year ago, one after the other, the Peña Nieto administration has lost all the relevant diplomatic battles about the condition of human rights in the country. His policy of contesting harm in international forums seems strained. His ability to pressure multilateral agencies is extremely diminished. His manoeuvres have not been able to impede the grave human rights situation that prevails in the country from being known. Members of the Inter-American Commission on Human Rights give a report on their 5-day visit. The IACHR delegation was in Mexico between September 28 and October 2. Its arrival was preceded by multiple tensions with the federal government. According to what the director of the Pro Human Rights Centre, Mario Patrón, reported at a session in Washington held the last week of July, in which they discussed prolonging the mandate of the GIEI, Mexico’s ambassador to the OAS, Emilio Rabasa, and the executive secretary of the IACHR, Emilio Álvarez Icaza, had a confrontation. Finally, the Secretary of Foreign Relations (SRE, its initials in Spanish) felt forced to extend an invitation at the IACHR plenary in order to avoid the organisation including Mexico in the fourth chapter of its annual report. A State is included in the fourth chapter if the organisation (the IACHR) assembles information from multiple sources that show evidence of grave and systematic violations of human rights, including the conclusions of other international human rights agencies about the country’s situation. 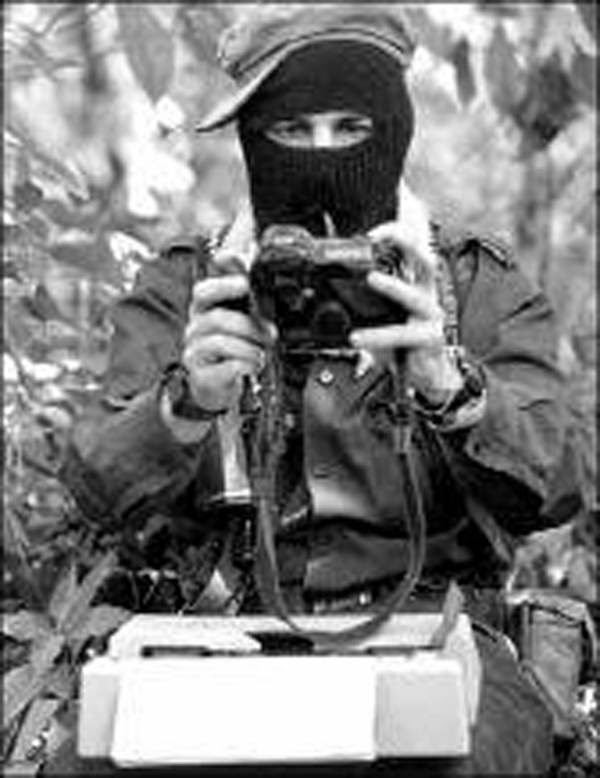 Rabasa, who, during the time of Ernesto Zedillo headed, with more pain than glory, coordinating the dialogue in Chiapas, wanted to paint favourably in the media his differing with the IACHR. Nevertheless, several sources maintain that effectively the clash was presented and regarded much as being terse. The angry governmental response, accompanied by a media barrage against Emilio Álvarez Icaza, shows that the pulse among both was not exactly hunky-dory. In the field, the IACHR proved the grave human rights crisis that the country is experiencing, characterized by a situation of extreme insecurity and violence, a lack of access to justice and impunity. What happened to the 43 Ayotzinapa students –the commission concluded– is not an isolated tragedy, but rather part of a pattern of violating human rights. Regarding the disappeared students from the Raúl Isidro Burgos Rural Teachers College, the Commission’s president, Rose-Marie Belle Antoine, said that in the investigation in charge of the PGR the organism is obliged to determine corresponding criminal responsibilities. Besides –she pointed out– the attorney general’s office must adopt as soon as possible the measures requested by the GIEI: designating a special counsel in charge of the investigation, renewing the whole team, reorienting the investigation and permitting the experts to interview all the witnesses, including the soldiers from the 27th infantry battalion. 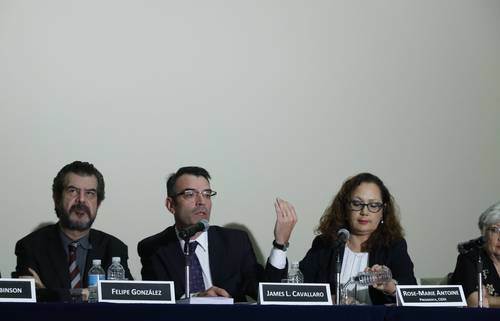 The federal government, through the assistant secretary of Governance, Roberto Campa Cifrián, turned to saying that the document of the IACHR “does not reflect the country’s situation,” and that the Ayotzinapa case is “absolutely extraordinary.” He questioned the objectivity of a preliminary report made in just five days, based on their tour through only five federated states and the Federal District. The arguments of assistant secretary Campa were not very original. They are almost the same as those that were used to fence with the presentation of the first human rights reports in our country in 1986. One of them is titled Mexico, human rights in rural zones: exchange of documents with the Mexican government on human rights violations in Oaxaca and Chiapas; the other was titled: Amnesty International’s Concerns about Mexico. Miguel de la Madrid was president then. Both reports –like those that would come afterwards– were objected to with the same reasoning that Campa is using now. The official ignorant stubbornness in the face of the assignations about the grave situation in the matter of human rights in the country from the beginning of the Enrique Peña administration is not limited to the case of the IACHR. An embarrassing incident also occurred with the UN’s special relator against torture, Juan Méndez, with whom the SRE entered into direct confrontation. Nor did the assignations of the United Nations Committee against Enforced Disappearance and those of the relator against extrajudicial executions, Christof Heyns, sit well with the federal government. The IACHR’s report was given in the preamble to the visit of the United Nations High Commissioner for Human Rights, Zeid Ra’ad Hussein, which started on October 4. Together with other pronouncements emitted in the UN, they set a precedent about the orientation that the visit of this functionary could have. 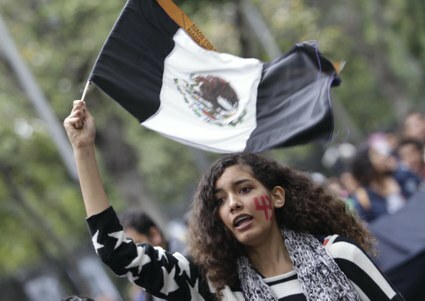 The Inter-American Commission’s report put on the table the need to create an organisation against impunity in the country, or for investigating the case of the 43 disappeared Ayotzinapa students, similar to the International Commission against Impunity in Guatemala (Cicig, its initials in Spanish). A great variety of voices, both national and foreign, were heard demanding an exit in this direction. Immediately, Campa Cifrián hushed them saying that the “outside institutions do not substitute for the Mexican ones, because outside solutions are easy exits that lead to failure… history also assures that Mexicans have to find the country’s solutions. The governmental version about the human rights crisis has become unsustainable on the international terrain. Its diplomatic manoeuvres for concealing what is evident function less and less each time. 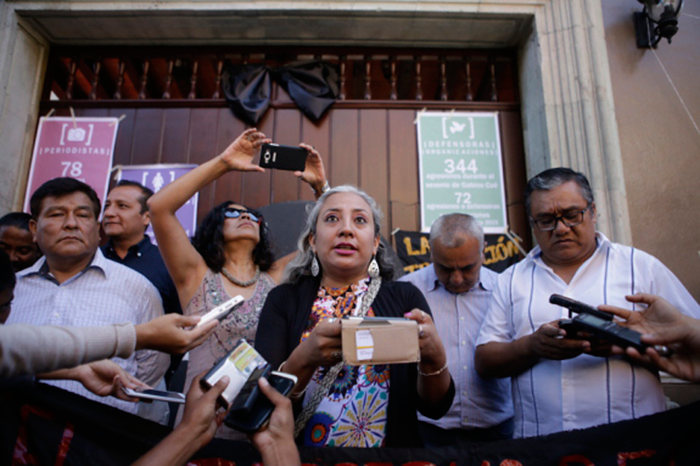 The German dramaturge Berthold Brecht wrote: “When the hypocrisy begins to be of very bad quality, it’s time to begin telling the truth.” In human rights matters that time has come for Mexico.